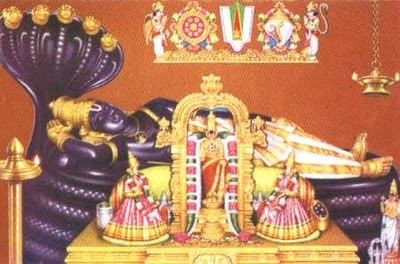 Vaikunta Ekadasi, also popular as Mukkoti Ekadasi has a special significance in the Hindu traditions. The Dhanurmaasa Sukla Paksha Ekadasi day is considered as the Vaikunta Ekadasi day. Ekadasi is the eleventh day in both the halves of the lunar month - Sukla Paksha and Krishna Paksha. Approximately, there will be as many as 24 Ekadasis in a year. The Ekadasi in Mrugasira Sukla Paksh is known as Vaikunta Ekadasi. Vaikunta is the abode of Lord Vishnu. On this day, thousands of devotees perform special poojas in Vishnu Temples. During this month, Sun transits through Dhannus Rasi. Ancient texts recommend that the mornings in this month are ideal for worship of the Lord Vishnu. People fast during the entire day and offer prayers to Lord Vishnu. Gifting a copy of Bhagavad Gita to a deserving person on this day is bestowed profuse blessings by Lord Krishna. This auspicious day is more popular as the Guruvayour Ekadasi in Tamil Nadu. Special festival celebrations mark the day at the Sri Ranganathaswamy Temple of Srirangam. Special celebrations are be earmarked for 21 days starting ten days prior to Vaikunta Ekadasi and ending ten days after the Ekadasi at the Lord Ranganatha temple at Srisailam. Traditional and spiritual programs will also be held at Tirumala. Vaikunta (or Vaikuntam as it is spelt in Telugu), is the abode of the Lord Vishnu. The Lord sleeps on a three-folded serpent called Sesha Nagu. Many Indian Mythological pictures and paintings depict Vaikunta with the picture of the Lord on Sesha Nagu in the Kshira Sagar (the Ocean of Milk), his consort Lakshmi at his feet and Lord Brahma sitting on a lotus that emerges from the navel of the Lord. One of the main doors i.e., Vaikunta dwara which is normally kept closed throughout the year is thrown open only on the day. Devotees believe that taking the darshan of the Lord on this day would pass through the door of the Lord to reach the Vaikunta.